Outdoor area rugs are the perfect styling staple to completing your outdoor space. Buy one to create a relaxing sanctuary in your backyard, or choose a few to spruce up your deck, patio or porch as you entertain guests. Find out how you can create your own backyard oasis by adding a few stylish and modern outdoor rugs to your space with helpful hints from Ace. Relaxing in your own home is important. While your interior might be your haven, your outdoor space can be your own sanctuary away from the hustle and bustle of daily life. After you've shopped our extensive collection of backyard furniture and lighting, decorate with large outdoor rugs to complete the look. Check for features like long-lasting durability, mold- and weather-resistant materials and trendy patterns to ensure your rugs stay in perfect condition for years to come. A little relaxation can go a long way, but sometimes what you really need to enjoy the great outdoors is a party. If you love to entertain and want to do it in style, outdoor patio rugs are a cost-effective solution to help you improve the look of your space while keeping guests comfortable. You can use multiple rugs to give warmth to large spaces, or use them to create distinct areas for food service, drink preparation or mingling. For most backyard spaces, one or two rugs should be enough. Add comfort to seating areas. Position comfortable, portable chairs on your rug away from the action of the food or bar station so guests have a quiet place to chat. Make outdoor rugs a focal point. For casual gatherings, your outdoor rug should be placed directly under your guests. Choose a bright and bold color to liven up the party! Combine multiple rugs. Outdoor rugs can give your space a colorful and stylish look when positioned to around a large deck or patio. If you have specified seating, bat and dining areas, place a matching rug underneath each place to create a uniformed gathering place. Still feel like your outdoor space isn't complete? Use accessories like hammocks to turn your backyard into an island-like paradise for you and the whole family. Simply place them in the corner of your yard and relax in comfortable style. 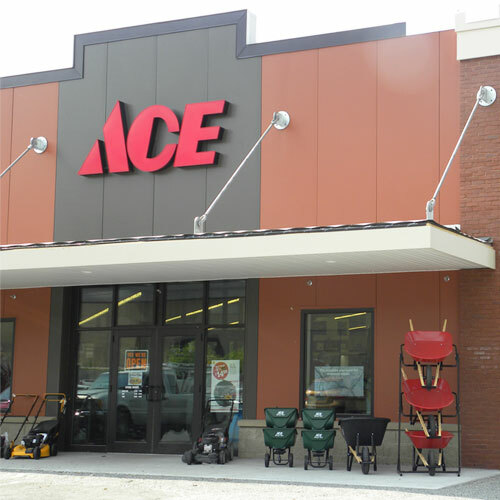 Shop at Ace to find the perfect patio rugs to complete your outdoor style. From cozy and quiet, relaxing spaces to elegant and enchanting entertaining places, you'll find the right rug to make your backyard pop.